Earlier in my career, I held a corporate position focused on change management and digitization. While I loved the excitement of being on the front line of ideation, I quickly learned that creating new ideas and effectively managing tasks and budgets were not enough. Correction: they are enough in the early stages, but simply serve as a minimum requirement for any intermediate or advanced stage of an initiative that will impact company culture. 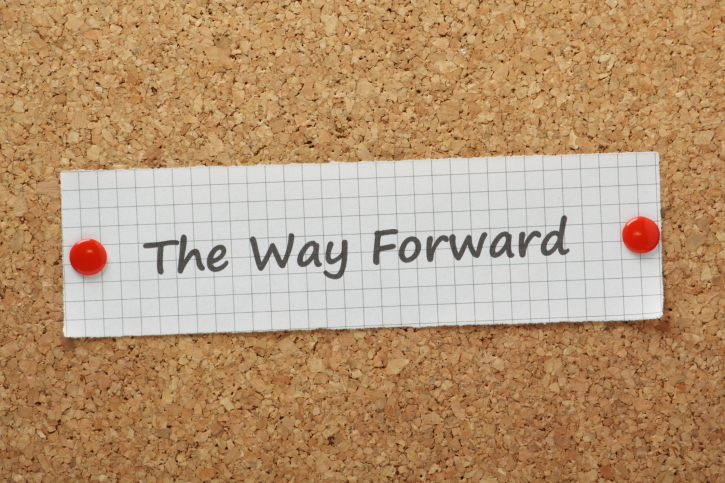 Fast forward fifteen years—and dozens of workplace initiatives that required a change management component—later, and there are several fundamentals that I have learned and since applied to these efforts. Change management starts with the very first conversation. It does not start after a new concept has been approved or adapted (in fact at that juncture, we have already progressed along the change continuum). In these early days, we are managing the messaging and engaging internal early adopters to initiate preliminary changes to select systems and processes. Change enablement starts AFTER the foundation setting, initial deployment, and the utilization of new approaches and/or competencies for program implementation. This is typically 12-24 months from the change management stage and when we see changes in organization interactions and cultural norms. From the onset of any effort, the “What’s In It for Me” (WIFM) must be identified for each stakeholder, and it is acceptable (if not preferred) that they vary from group to group (these too are likely to change over time). Productivity and collaboration gains come from change enablement. To achieve these goals, an organization must be willing to recalibrate to ever-changing needs of the culture (without sacrificing enterprise objectives). The stakeholders and plan to deploy a flexible workplace (i.e., change management) differ from those needed to sustain and accelerate it (i.e., change enablement). Let’s consider how these tenets apply to companies committed to establishing a flexible work culture. A scalable foundation for flexible work requires one or more of the following: senior leadership alignment, business case/initiative drivers, policy/guidelines, pilot deployment, manager and employee, metric tracking, and evaluation. These elements are generally within Human Resources’ span of control or influence. Next it must be determined if flexible work is integral to another initiative such as real estate or dependent upon other support area efforts such as information technology. Organizations must give themselves the time to develop their program elements to ensure that the objectives, messaging, policies, and support are appropriately aligned and effectively deployed to employees and managers. This foundation is a tremendous change management effort, particularly as it requires changes to expectations, tools, and processes, and it takes time for all stakeholders to absorb, understand, and ultimately demonstrate. HINT: Do not underestimate the importance of multi-discipline teams within Human Resources and across other infrastructure partners. The ability to create and develop integrated roadmaps ultimately benefits the end-user—that is, the employee and manager—and streamlines all messaging. This is a tremendous internal change management opportunity for shared services. It’s not enough for employees, teams, and managers to learn about new programs and changes. Stakeholders must be engaged, excited, and eager to participate. Once that happens, the culture of how work is done, what is expected from ourselves, our leaders, and our peers, and how we interact can begin to take place. To set the stage for this shift, organizations must offer a meaningful, resonating, and timely value proposition that reflects the realities of a diverse, digital and dispersed workforce—NOT research, market trends, and enterprise mandates. Once programs and new efforts are designed with WIFM and annual goals incorporated, organizations will see an uptake in acceptance and participation (including insightful feedback). REMEMBER: The WIFM changes over time as associates gain experience and confidence—this typically indicates that there is capacity to absorb more change. What do employees and leaders really want? What can the organization realistically support and implement? Are we treating our employees and managers as our most valued asset? Are we evolving—at the individual, team, and enterprise levels? Are we more sensitive/in tune to our diverse needs and communication requirements? Do we proactively collaborate? Identify new opportunities? Have we established a “new normal” with respect to our culture? What does success look like? What are we measuring (e.g., client satisfaction, gross revenues, units per client)? Through a candid assessment responding to the questions above, organizations can re-evaluate their previous efforts in the context of how change was initiated, led, and supported. The questions then shift to how the day to day has evolved—this typically does not require a prescription but rather a vision of what we want the organization to be. You can’t enable a culture change without a change to the underlying processes and systems. However, once this has been accomplished, organizations will be better poised to create dynamic environments that are productivity and results driven. Robin Roschke is a Founding Partner of 1MFWF supporter FlexPaths, a global solutions provider dedicated to enabling leaders, employees, and teams acclimate to changing work styles and work environments. Robin’s 15+ years of change management experience from Human Resources, Information Technology, and Real Estate allows her to deliver practical, incremental results for companies seeking to initiate or advance their agile work cultures.